Every piece of jewellery is a perfect match of amber and wood. Natural amber is used in Wlodarska’s design. Nowadays, it is never a surprise that contemporary jewellery is set with alternative materials in an imaginative way, besides using traditional precious metals and gemstones. 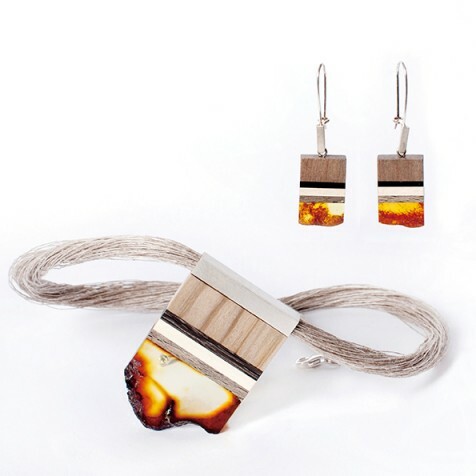 Polish jewellery designer Marta Wlodarska is definitely one of the examples, combining amber and plain wood in her simple yet innovative jewellery. 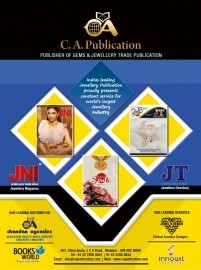 Every piece of jewellery is a perfect match of amber and wood. 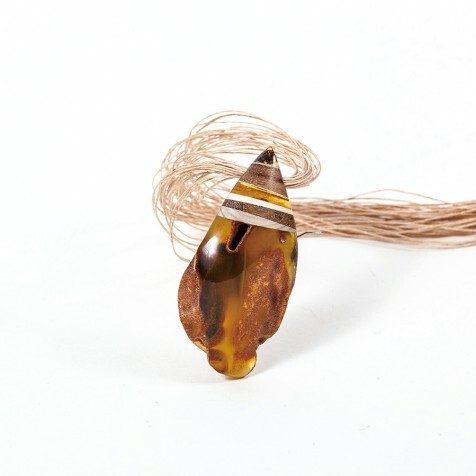 Wlodarska expressed: “I adore greenish-brown amber which contains inclusions of natural plants or insects. For wood, I collect driftwood at the seaside, beaches or even from the old boats. Their colours really surprise me. What’s more, pine woods soaking in water over a long time also deliver captivating colours. 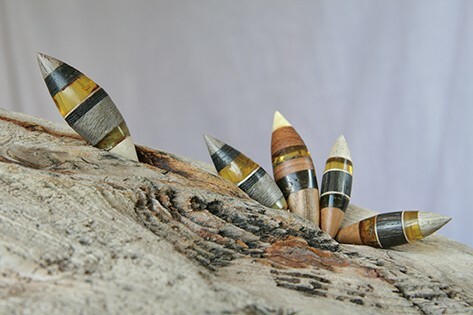 Combining ambers with various exotic woods, I create jewellery with a new and fresh expression.” She joked that apart from seaside and beaches, she would also collect woods from her garden. For the past several years, Wlodarska has introduced a wide array of jewellery set in silver or plated gold on the theme of different shapes, such as triangle, leaf, float, mosaic, etc. She said: “The Float collection, one of my favourite collections, is inspired by the Zen philosophy. 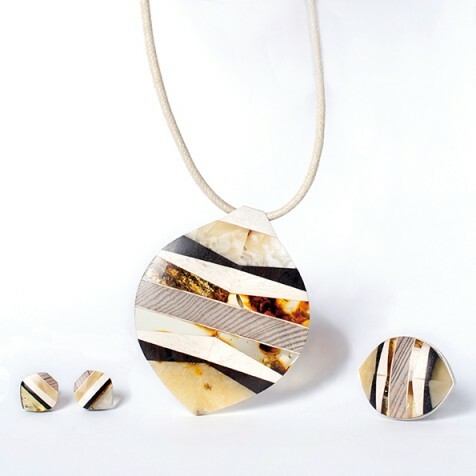 I also like a lot of mosaic items which are composed of geometric woods and natural ambers.” In 2015, she will have her jewellery set in gold for the first time. “Besides designing jewellery, I will also try to make some modern furniture, for example, lamps,” she told Hong Kong Jewellery.